There were 147 traffic accidents killing 110 people and injured 61 others during four holidays, when people flocked back to their hometowns, according to the country’s National Traffic Safety Committee. Of traffic accident, 145 road accidents claimed 109 lives and injured 60 others while two rail accidents claimed one live. The committee said that the surge of traffic accident was due to excess speed and drunk drivers. Moreover, accidents were caused by driver helmets also. Many streets in Hanoi were clogged with traffic on January 1 because people returned from hometown for the first working day. 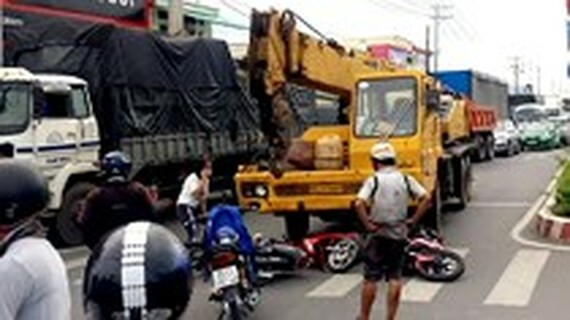 The section from Ngoc Hoi – Van Dien to Giai Phong- Nguyen Huu Tho was congested with vehicles in the afternoon and traffic was snarled in streets to Phap Van- Cau Gie corner. 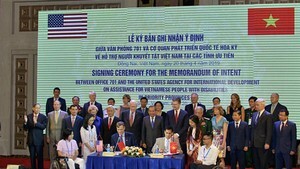 On the same day, thousands of people across the country came back Ho Chi Minh City after the long holiday. Traffic gridlock in Mien Dong bus station and Cat Lai ferry was seen. The municipal Department of Health said that during the four-day holiday, hospitals received 148,879 patients including 12,464 emergency cases and 1,251 accident cases and 1,060 cases due to daily activity accidents , 25 poison cases and 9,531 cases because of different causes. In four days, HCMC Police said there were 33 criminal cases including sixteen property robberies and fifteen thefts. Police officers have launched investigations and arrested 24 people.